Working in harmony with the skin to deliver immediate and long-term results, our best selling Optimal Skin Range harnesses the power of nature's most potent actives, to nourish, balance and restore radiance - for beautiful skin at any age. The spritzer will travel in my handbag for facial refreshment on the go. The nourishing serum/oil is a good size, although I am unlikely to apply it at teatime (as the product leaflet suggests!) because it does leave my face quite shiny. A lot of facial wash/cleansers can be drying, but the optimal skin pro cleanser leaves a moisturising film on my face after I have rinsed. The bottles and jars are mainly glass, so are less polluting. The case itself is superb quality. It has rigid and padded sides, top and bottom. It makes a great travel case for my bracelets and necklaces. 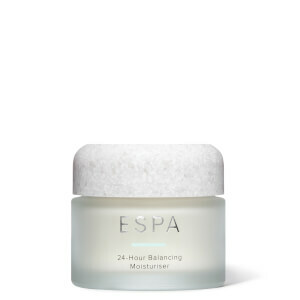 I have been meaning to try ESPA face products for a while as I already use the pink hair mask and I’m really glad I finally got round to it. I absolutely love this set - especially the cleanser and moisturisers. I’ve already bought a full size version of the cleanser. The exfoliating properties makes your skin feel so fresh and healthy. The moisturiser is also lovely. Every time I put it on I feel like I’ve been to the spa. 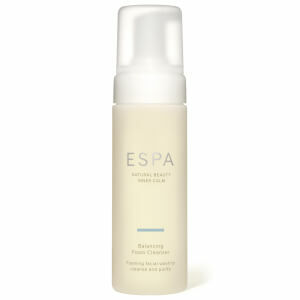 I decided to use ESPA after I had a weekend spa where the beauty therapists used ESPA. I was blown away by the results. The Optimal Skin Experience pack is a great way to try the individual products before buying the larger sizes. I'm so pleased with all the products that I will definitely the investing in the larger sizes. Love this set. First tried it in a hotel. I have quite normal 40s skin ... this gives a great result in the morning. Feels fresh and well moisturised. Had people tell me I look well!! I like the proserum very much , nice smell and make my skin soft and glowing. the cleaning balm is good as well, it's not harsh and it melt very naturally. I have really enjoyed using these products. I have an autoimmune disease and have found it hard to find products that work and make a difference, these products do. There's no tightening of the skin with the cleanser and toner, plus all the products smell amazing. The serum really is brilliant and along with the moisturiser doesn't clog my pores, so it's a win win! I ordered this to try the oil and moisturiser before buying full sized and they don't disappoint it's worked wonders on my skin and smells amazing.The product sizes are fab and have last me for over 2 weeks so far as I find you need to use the tiniest amounts of the products they go such a long way.